Ceiling fans have been an essential feature in Kerala homes for a long time. The tropical climate makes ceiling fans the cost-effective and healthy option in cooling the interiors of a well-ventilated Kerala Home. In recent times, ceiling fans have become much more technologically advanced and appealing. They are often a large part of a home's decor. They help to cool the home in the summer and warm it in the winter by circulating air within the rooms. 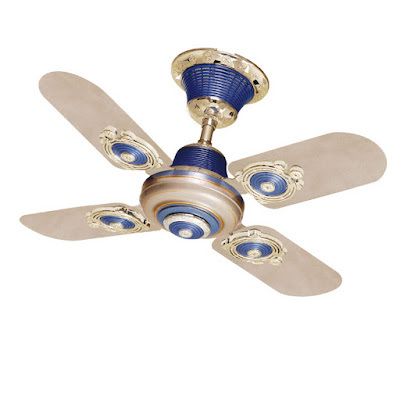 Fans are used throughout the home in main rooms, kitchens, verandahs etc. They add to the rooms appeal and lower dampness. Ceiling fans vary based on the quality, style, and size. 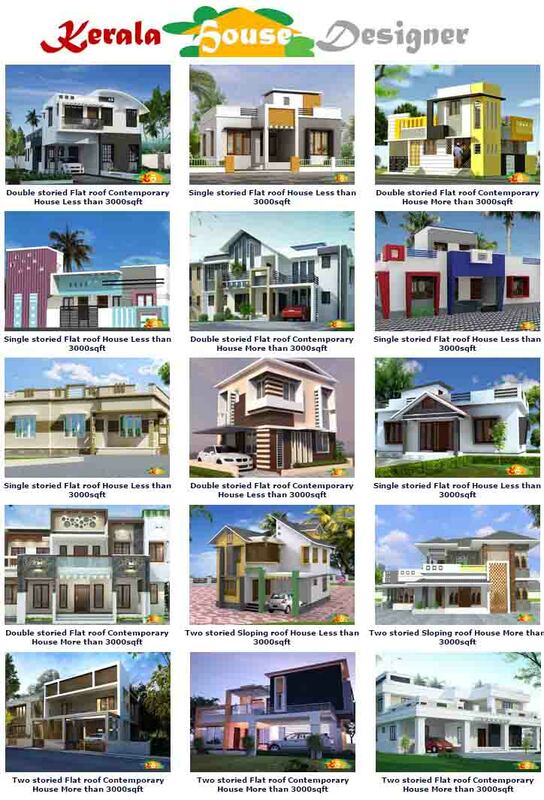 Check over the differences before making the purchase. If you purchase an inexpensive one, it may seem good when you first use it, but over time it will warp, become off-balance, and wear out. Choosing a good fan to start with is a better idea. You can enjoy the comfort and beauty for years. What you should look for in a fan is the quality, motor, durability, performance, design, and warranty. Choose a fan that fits in with the style of your home and room that suits your taste. There are many colors, finishes, blade designs, sizes, accessories, lighting, and styles to pick from. Options to choose from are polished brass, antique brass, iron, copper, nickel, pewter, chrome, black and other vibrant colors. To utilize the most efficiency the fan needs to fit the size of the room. 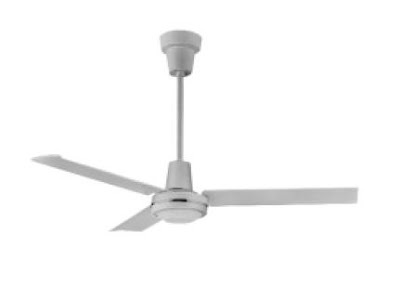 A general rule to follow is 29" to 36" fan diameter for a room up to 75 square feet, 36" to 42" for rooms up to 144 square feet, and 50" to 54" for rooms up to 225 square feet. The fan should be more than 7 feet over the floor in the middle of a room to get the most comfort, circulation, safety, and decor from it. The best height is 8 to 9 feet from the floor. The blades create the circulation, so their position is very important. The blade brackets should hold the blades at a 12-15 degree angle. The weight of all blades should be the same. This allows optimum circulation and avoids fan wobble. Less than 12-degrees on the angle will lower the circulation, higher will increase it. 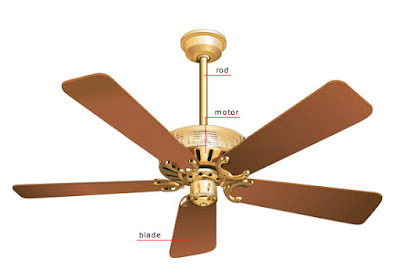 The motor is the most important part of the ceiling fan. A high-quality motor should have heavy-duty windings and sealed bearings with permanent lubrication. This will insure quiet operation and long life. Lights on a ceiling fan can add to your decor and create the final touch to your room lighting. 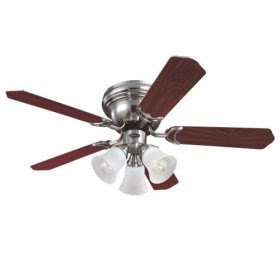 There are various styles of lights to choose from on ceiling fans. They range from classic to antique to contemporary. You can also add opal, marble, crystal, glass, and hand blown glass on the fitter, or shades. 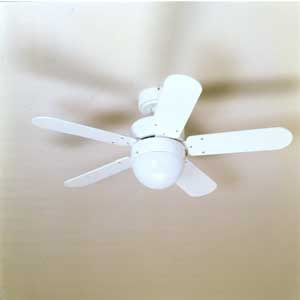 You can often choose a fan and light kit separately to satisfy your taste and compliment your room's decor. You can also choose between up and down lighting to add ambiance to rooms like your living or bedroom. But the cheaper option would be to buy fans that have built-in light fixtures on it. To avoid blistering, fading, corrosion, and tarnishing, be sure that the blades have a high quality finish. If they are not high quality, the blades will quickly peel, bubble, or corrode. Brass is long lasting and scratch resistant does not need polishing and the painted finishes are thick and durable when properly coated. A good warranty is always the best option. If you choose your fan carefully, you will find that many manufacturers with high quality fans offer a long warranty period and even in-home service. You can usually install a ceiling fan on your own. The installation is not difficult and the fans come with step-by-step instructions. Support systems are normally provided to allow hands free wiring. Just be sure the fan and home wiring is compatible. There is a wide range of prices in Kerala when you go shopping for a ceiling fan. 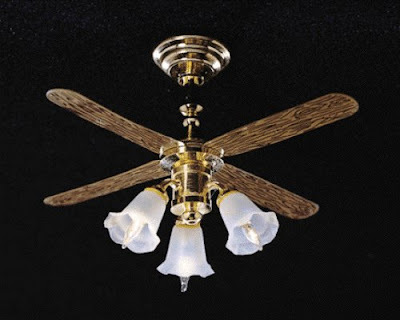 The price will vary from manufacturer to manufacturer and depending on the ceiling fan's features. The old saying "you get what you pay for" definitely applies to ceiling fans.